We have witnessed a steady rise of crowdfunding ever since Indiegogo and Kickstarter were launched in 2008 and 2009, respectively. KICKICO is looking to capitalize on the idea that fickle VC investments are no longer required in order to raise funds for projects and can be completely replaced with crowdfunding platforms. KICKICO is an Ethereum-based protocol built around the idea of easy and safe fundraising for pre-ICOs, ICOs, crowdinvesting, and crowdfunding. Its ultimate goal is to unite two young but very promising industries: crowdfunding and blockchain. It aims to exploit the great potential of these two industries and solve their biggest problems by moving fundraising away from centralized platforms to Ethereum-based smart contracts. KICKICO should reduce overhead costs and those of crowdfunding campaigns and protect the investors from failed projects. 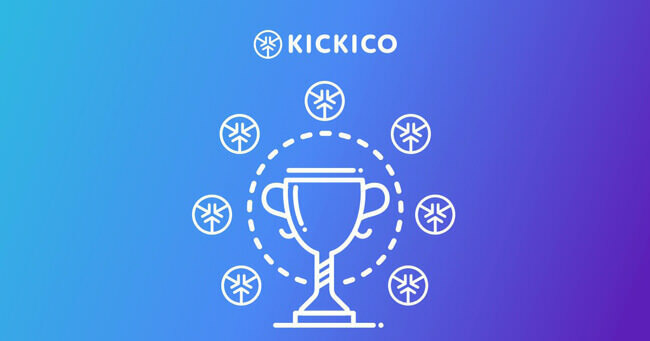 In this KICKICO review, we’ll explore their model in-depth and give you a definitive answer whether it’s worth participating or not. 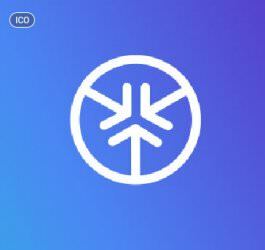 As already explained at the beginning of this KICKICO review, this is a project designed to solve most of the problems currently present in traditional crowdfunding, ICOs, and the crowdfunding market. Traditional crowdfunding platforms will never accept projects from countries without their presence. Furthermore, they charge pretty high commissions (15-20%) and the contribution payment systems are no better in that regard. Those platforms are also swamped with failed projects and have become all about strong marketing and big companies, leaving out creators with good ideas but no real marketing budget. KICKICO intends to “ride” the crypto-revolution wave and solve all these problems with cryptocurrency, decentralization, and smart contracts. They’ll provide technical solutions for the fundraisers, including management and advisory expertise, smart contracts, and marketing outreach. They will also provide additional token bonuses for the backers and protect them from “unrealistic” projects. KICKICO aims to create its own ecosystem called “Kickonomy,” completely powered and controlled by their coin, which is called “KickCoin” (KC). Kickonomy will be a 100% transparent ecosystem with KickCoin being controlled by the KickCoin fund, which will be completely independent and ruled by the community. ICOs, although an increasingly popular fundraising frontier, have no regulations around them and also face a certain number of problems. Developers must create their personal campaigns and landing pages from scratch. This wastes resources and time that could have been invested into creating a better product. From the backers’ point of view, ICOs are pretty difficult to find in the first place and lengthy verification processes throw additional wrenches into the procedure. Finally, companies without their own token or cryptocurrency are deprived of the possibility of even entering the ICO market. So, good luck launching an ICO if you’re not an Ethereum developer. KICKICO will create a single convenient venue for both ICO creators and their backers. They’ll also provide a single platform where people can view and discuss campaigns even without possessing prior technical knowledge. The crowdfunding market has its own set of problems. It’s not a rare occurrence that projects flop, disappear or fail to keep their promises after receiving millions of dollars from their backers. We’re talking 80-90% of all crowdfunded projects here. So, the main problem is the complete lack of protection for the backers. Campaign creators, on the other hand, can’t even access large crowdfunding platforms due to their residency and an overwhelming amount of required paperwork. The numerous hidden costs like 5% platform fee, backer rewards, 3-5% for payment processing, and others are also an ever-present issue, leaving creators with 60-80% of the raised funds. KICKICO will solve these problems by providing tools for launching pre-ICOs, ICOs, and crowdfundings within the platform, alongside all related support services. They’ll also ensure their safety by utilizing their KickCoins for internal payments. KICKICO will receive its profits by charging 4% in Ethereum and 4% of emitted project tokens. KICKICO campaign will start on August 29th (unspecified time) and last until September 16th. It will be closed at 21:00 GMT +3. The soft cap is set at 50,000 ETH and the hard cap at 100,000 ETH. The initial KC issuance will be limited to 750,000,000 + founders’ pool (maximum 10% with a 1-year freeze period). The coins left over from the pre-ICO and ICO campaigns will be frozen on a smart contract and subsequently destroyed (“burned”). The price during the ICO period is set at 3,000 KC = 1 ETH. You can familiarize yourself with the basic outlines of the project in this KICKICO YouTube review. You should also check out their Facebook and Twitter accounts for relevant info and user feedback or if you just want to chat with the support team and ask them some questions. KICKICO blog on Medium offers a large number of informational articles regarding the platform but also some basic cryptocurrency principles. You can also join their Telegram channel to communicate with the company representatives and other participants. Lastly, KICKICO subreddit offers some additional opinions on the whole idea and the overall handling of the platform. KICKICO definitely looks in the right direction since crowdfunding is an increasingly popular model for financing projects all across the spectrum. With that in mind, it’s also a field with a lot of established players, so our main concern is whether KICKICO will be able to beat them or not. The success of their coin hinges on this fact and the number of projects that accept it as payment. Furthermore, the main use we can see for KC is as payment within KICKICO projects. So, if the creators don’t accept it, it won’t have much utility or value. We see KICKICO as a platform best suited for fundraising projects on a smaller scale since we just can’t picture a multi-million ICO hosted on a website styled Kickstarter. 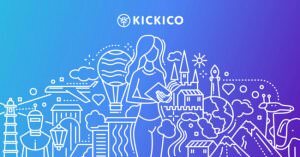 Projects with bigger budgets will undoubtedly dominate KICKICO, as well as the current crowdfunding platforms, so we can’t really see a lot of substance in their talk about supporting the “little guy.” On top of that, in order to be successful, KICKICO will have to attract both contributors and projects quickly due to the two-sided nature of the platform. Mixing cryptocurrency with crowdfunding may also alienate potential users. As seen from our KICKICO review, the project does have the potential for success, but it’ll take a lot of effort (and luck) to beat the already existing and established competition.